Consistent Performance Counts! Work with Platinum Top Producing Realtor for Illustrated Properties and 10+ year resident, specializing in waterfront properties and condos from Palm Beach, Singer Island, Juno Beach and Jupiter. Let me customize your real estate search to encompass ALL MLS LISTINGS and set up your E-MAIL ALERTS. 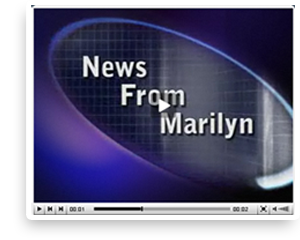 Just complete the E-MAIL ALERT form, CLICK on SEND TO MARILYN and start receiving AUTO delivery of all your relevant real estate updates. Singer Island condos for sale, Singer Island homes for sale and the adjacent communities to Singer Island real estate like the colourful Marina Grande and prestigious Old Port Cove communities offer you more choices than ever for waterfront real estate. Singer Island area condos for sale include Ritz Carlton Residences/2700 North Ocean, Aquarius, Beach Front, Cannonsport Marina, Capri, Connemara, Corniche, Cote D'Azur, Dunes Towers, Eastpointe, Inlet Area Condos, Marina Grande, Martinique, Mayan Tower, Oasis, Oceantree, Oceans Edge, One Singer Island, Palm Beach Shores, Phoenix Towers, Reaches, Resort at Singer Island Condo Residences, Resort at Singer Island Hotel/Condos, Sea Dunes, Seagrape, Seawinds, Sugar Sands, Tiara, Via Delfino and Water Glades. Old fashioned service @ high-tech speed!